Welcome to the Ultimate Toolkit Dream Giveaway, where you can enter to win enough fabulous Snap-On tools to last your lifetime. Whether you have just a pair of pliers in your garage or a whole array of gadgets, we know you’ve said at one point or another, “If I only had that tool.” Well, now you can. 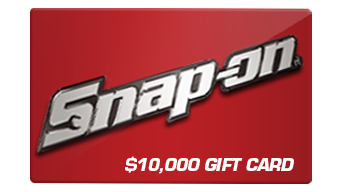 We’re giving away $10,000 of gift cards to SnapOn.com. If you’re the winner, you can pick the most popular, professional-grade tools and accessories that Snap On has to offer. 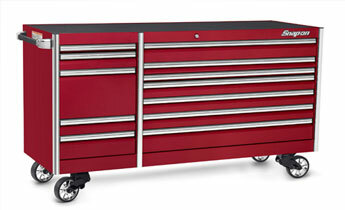 Snap-on offers nine incredible lines of tool storage. Choose from the Epiq Series, offering roll cabs from 60-inches to 144-inches wide, top chests, roll sections, work centers, overhead cabinets, lockers and much more. Make your mark with the Master Series, in your choice of colors, such as Candy Apple Red, Ultra Yellow, Arctic Silver, Deep Cranberry or Electric Orange. Or choose from the Classic Series or Heritage Series with the timeless Snap-On looks that you’ve loved for over the years. 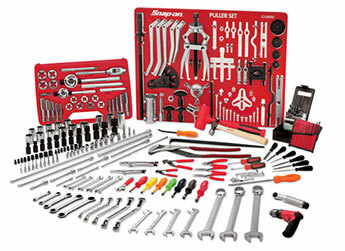 Snap-On has one of the best selections of quality-made hand tools in the world. Choose from ratchets, breaker bars, drive handles, extensions, sockets, drive tools, wrenches, screwdrivers, pliers, hammers and a whole lot more. 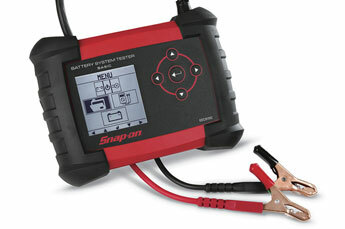 Nearly all are covered by Snap-On’s industry-leading limited lifetime warranty. Experience the ease and professional quality of Snap-on power tools. Choose from your choice of formats—cordless, air or electric—and then load up your shopping cart with impact wrenches, drills, reciprocating saws, grinders, ratchets, screwdrivers and a whole lot more. Load up with a battery charger, system tester, engine starter or other battery service tools; tig, plasma or gas welders; above-ground lifts or air compressors. And if you find diagnostics delightful, fill your cart with digital multimeters, circuit testers, leak detectors, timing lights, electrical tools, and compression gauges. Enter now to win and you’ll pick each and every piece to make your ultimate tool kit up to a $10,000 value, courtesy of your friends at Dream Giveaway.